Every window from WINDSOR carries strong commitment to quality design, timeless beauty and skilled craftsmanship. WINDSOR's products meet exact standards for energy efficiency and durability, as well as ease of installation, operation and maintenance. The exterior comes in a low maintenance extruded aluminum cladding. The interiors of Pinnacle product lines are made from the finest woods available, including Clear Select Pine, Natural Alder or Vertical Grain Fir. LoE 360 glass from CARDINAL, the best glass currently available (20-year warranty), combined with hardware from TRUTH place WINDSOR windows among the top players in the industry. The products are all custom-built, each designed to meet specific applications, depending on architectural style, regional preference and price point. Our top-of-the-line Pinnacle clad and wood windows offer a large selection of styles and shapes. Each product is designed to meet specific needs, depending on architectural style, regional preference and price point. And regardless of the product you choose, Windsor is committed to being the best value in the industry. 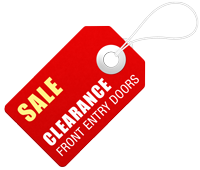 Choose from a wide selection of materials, as well as expanded sizes and decorative accessories. If you’re building a new home, remodeling, or taking on a historical renovation, Windsor’s windows and doors allow you to get creative without sacrificing quality or stretching your budget. Every window from Windsor carries strong commitment to quality design, timeless beauty and skilled craftsmanship. Windsor's products meet exact standards for energy efficiency and durability, as well as ease of installation, operation and maintenance. The products are all custom-built, each designed to meet specific applications, depending on architectural style, regional preference and price point. 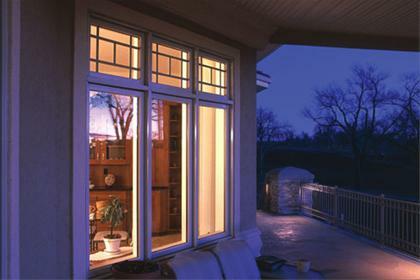 Our top-of-the-line Pinnacle clad and wood windows offer a large selection of styles and shapes. The exterior comes in a low maintenance extruded aluminum cladding. The interiors of Pinnacle product lines are made from the finest woods available, including Clear Select Pine, Natural Alder or Vertical Grain Fir. The on-screen colors provided are to help you determine what is available - unfortunately, due to variations between monitors, they are not true to color. For exact matches, please visit our showroom for true-to-color samples. Custom color matching is also available.